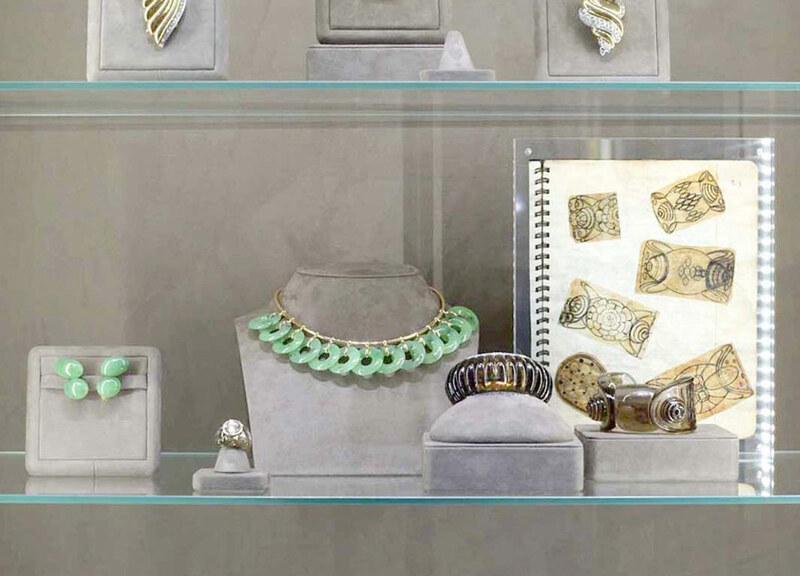 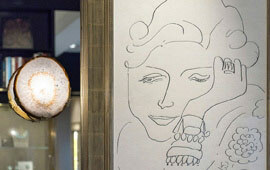 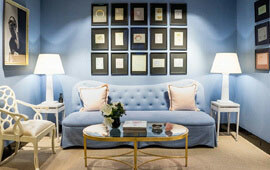 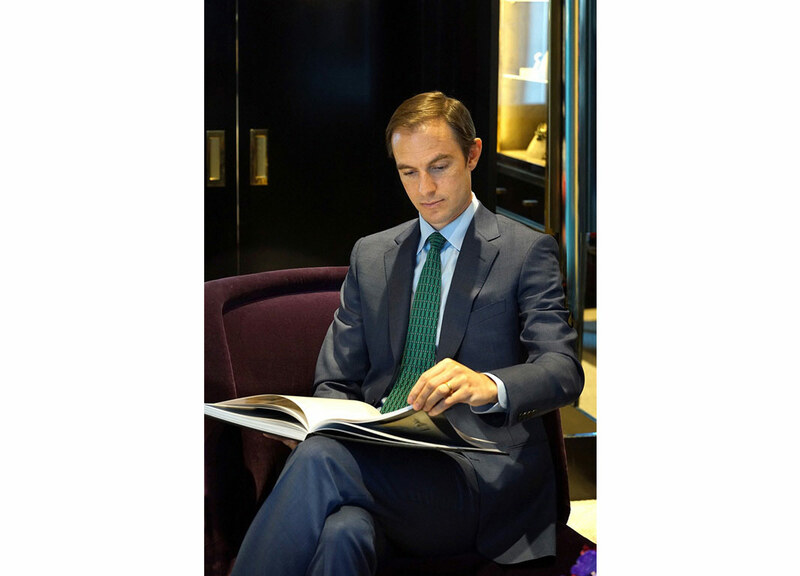 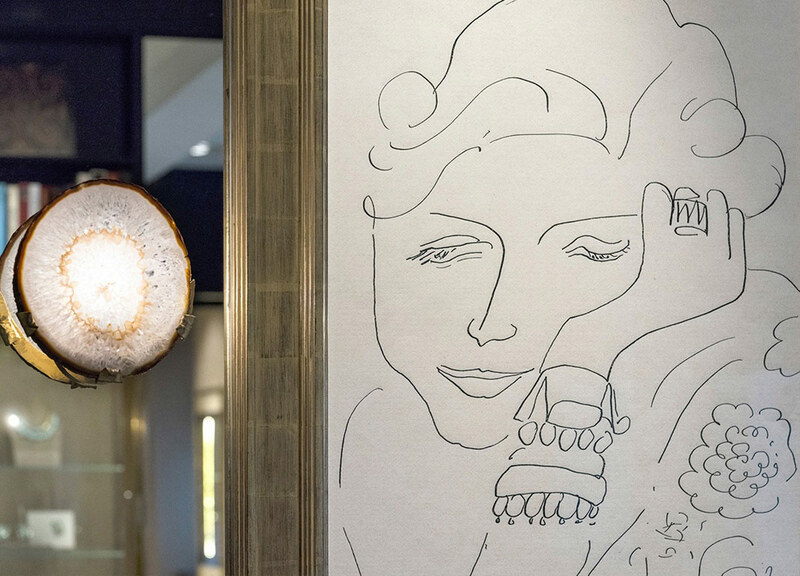 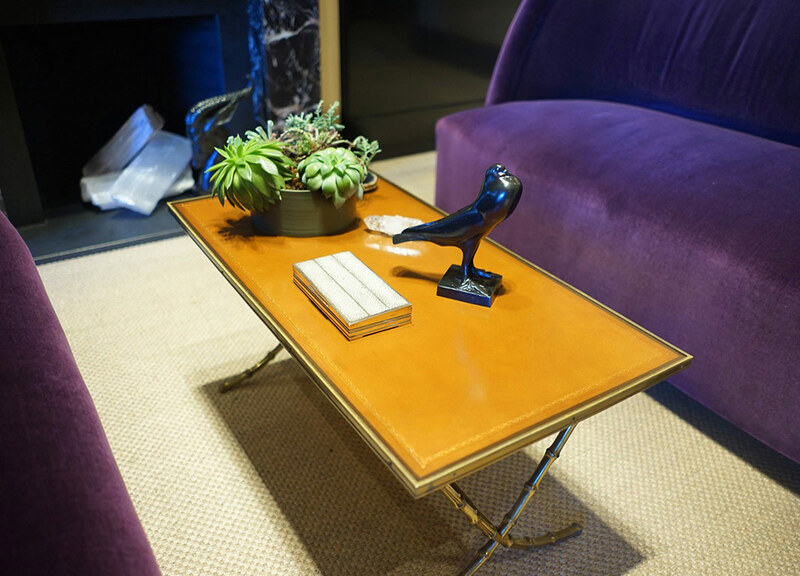 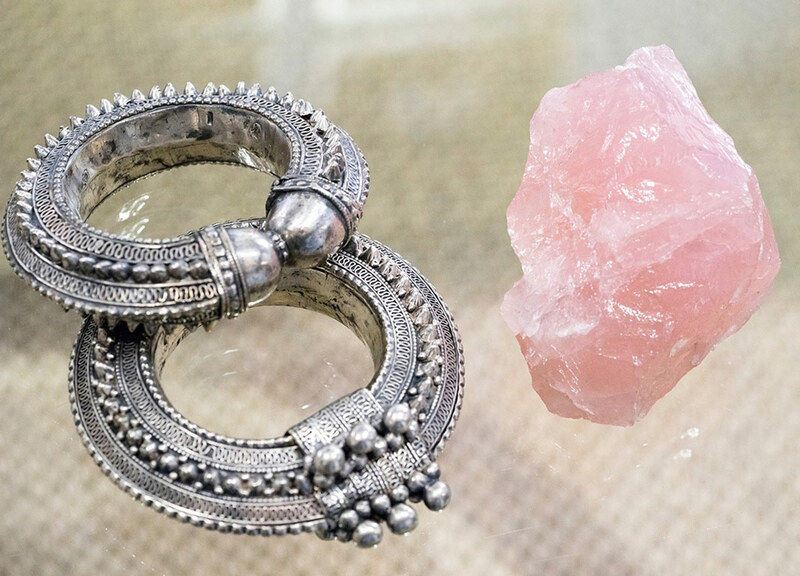 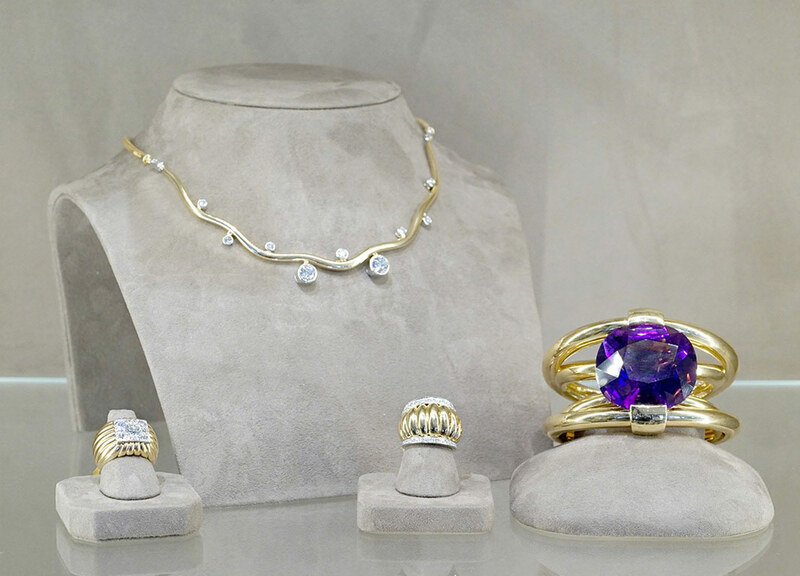 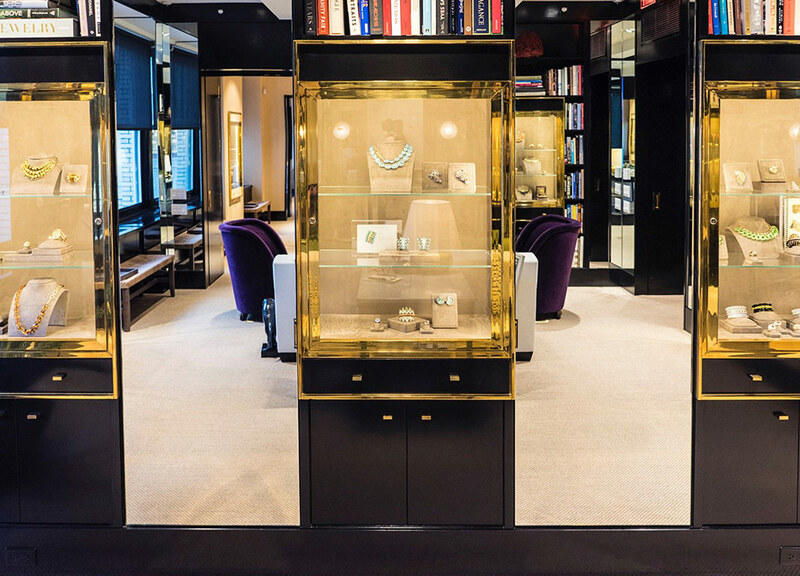 The Belperron boutique that opened in October 2015 may be located high above Fifth Avenue in New York City but the spirit of the interior is purely Parisian. 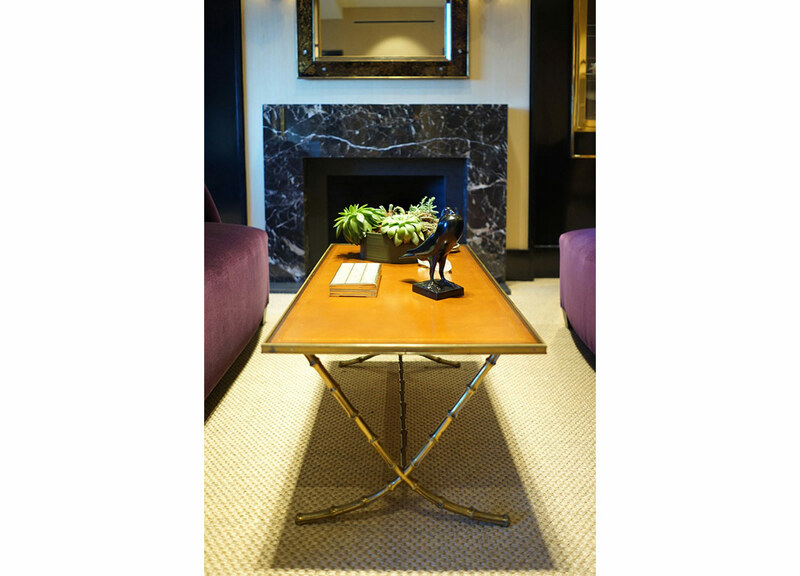 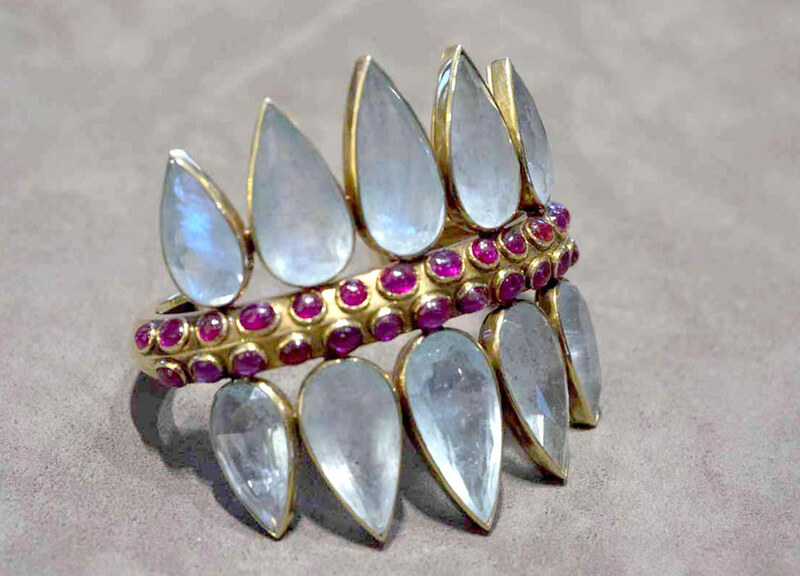 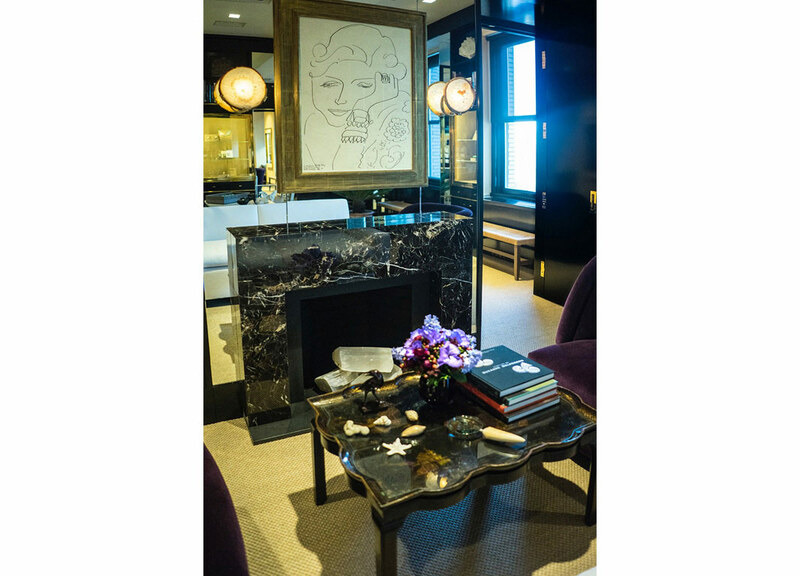 Architect Daniel Romualdez’s design harkens back to the 1930s when Suzanne Belperron rose to prominence in the City of Lights and became celebrated for her innovative style. 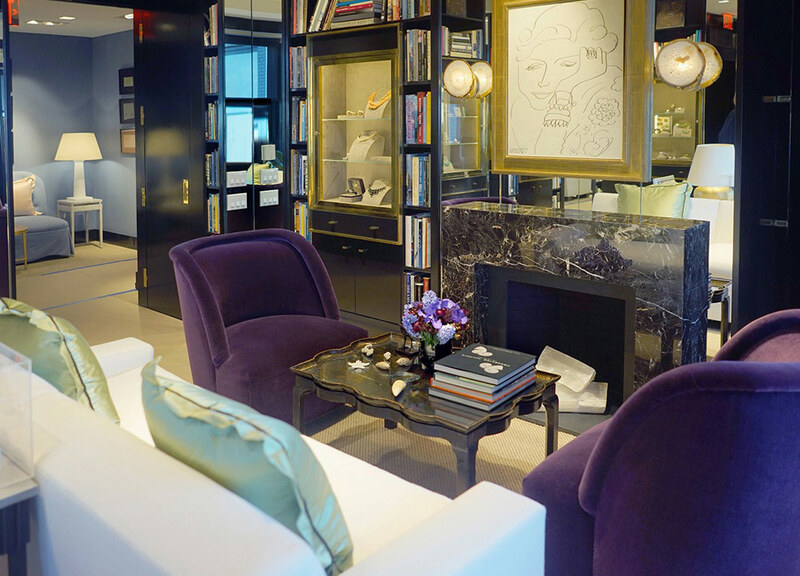 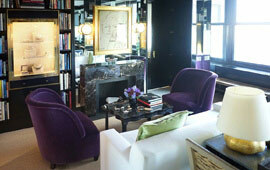 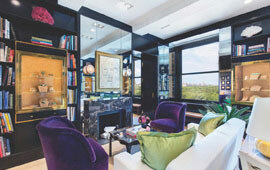 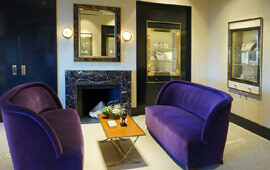 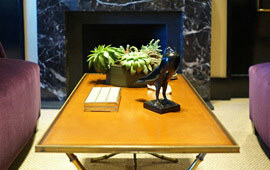 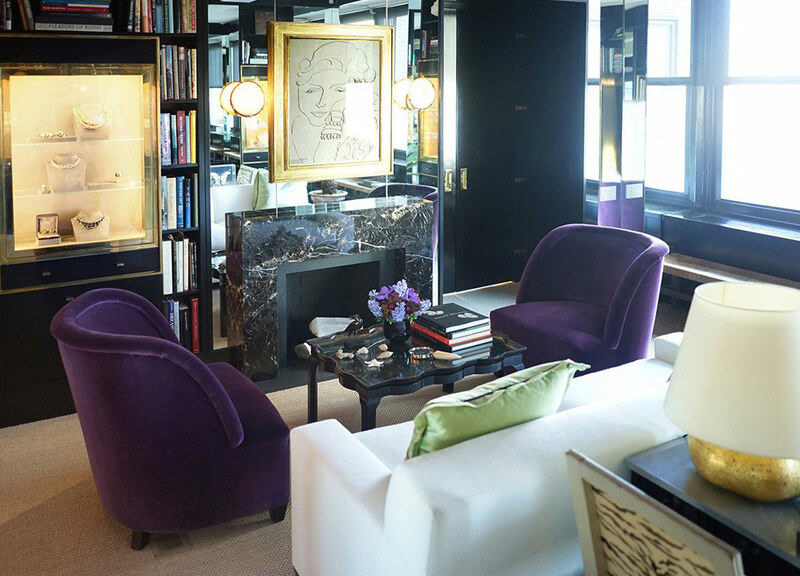 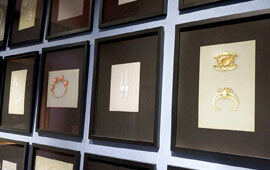 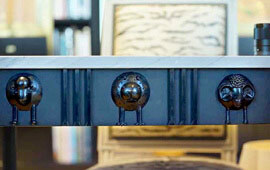 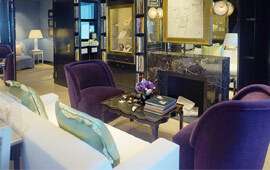 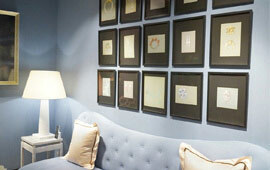 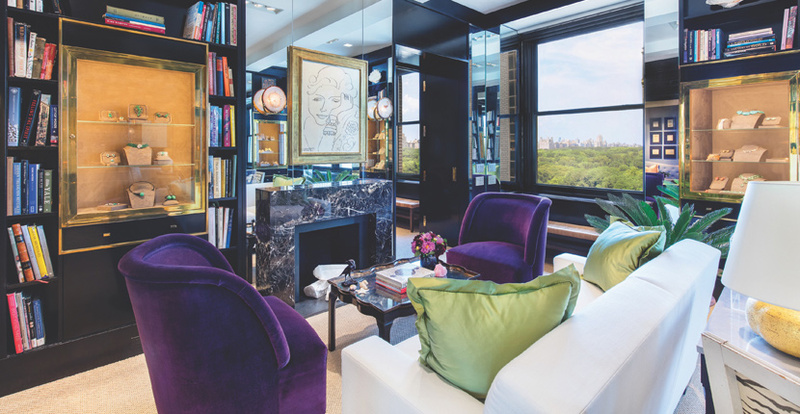 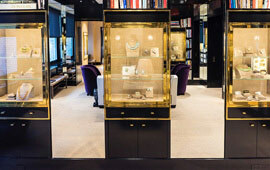 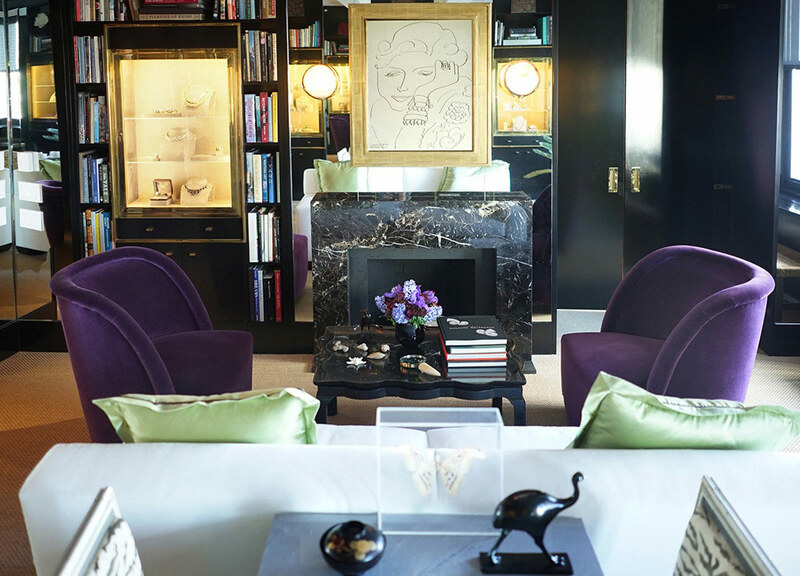 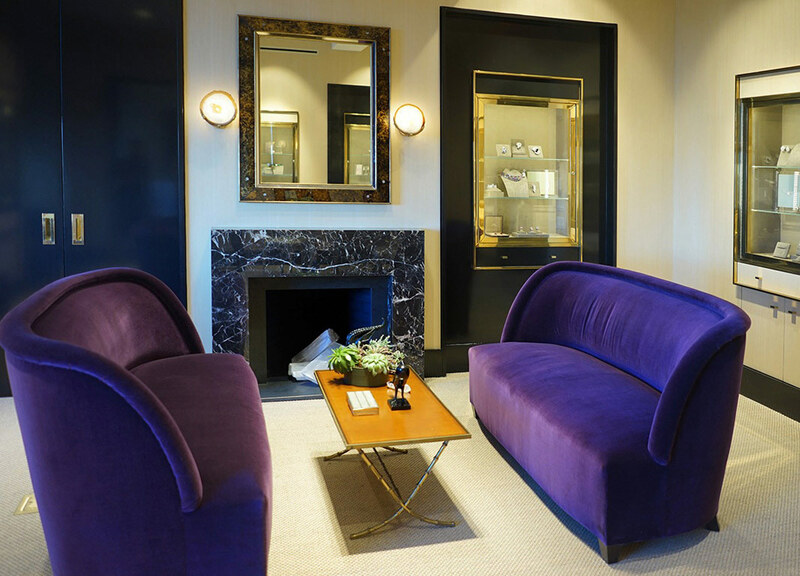 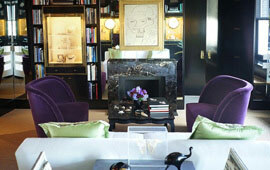 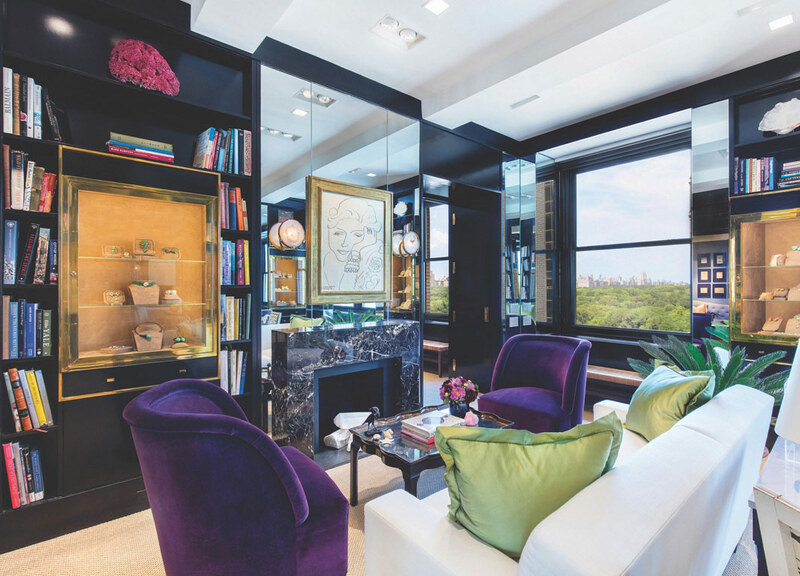 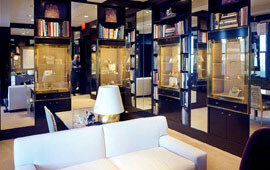 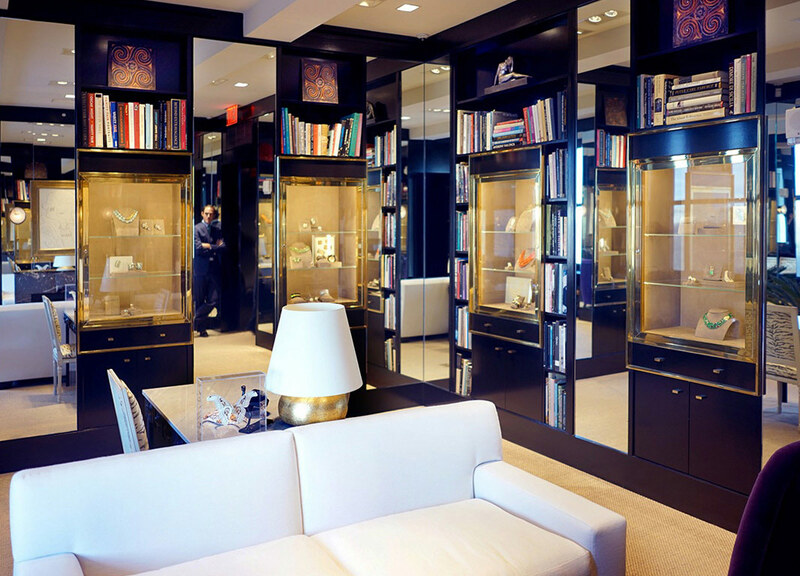 Black lacquer and mirrored walls in the library are accented by built-in bookshelves and sable colored jewelry cases. 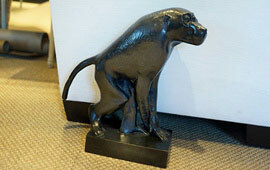 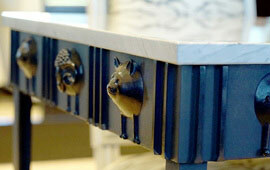 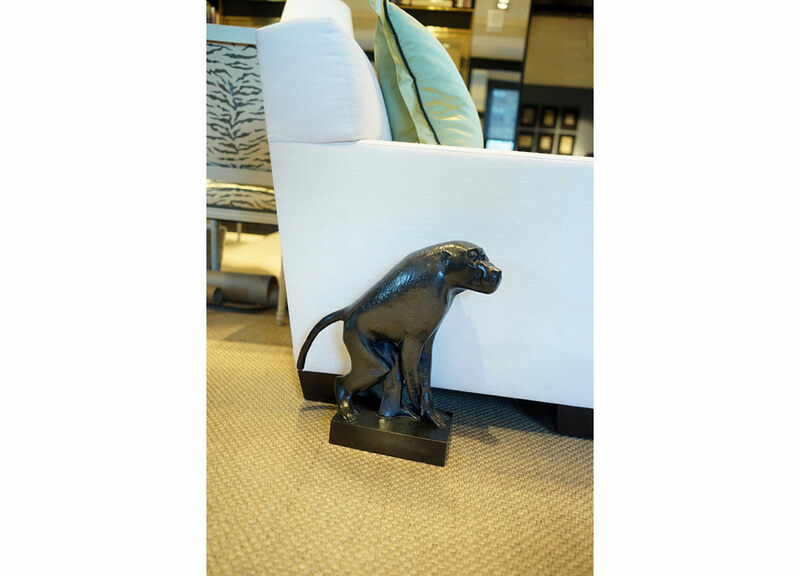 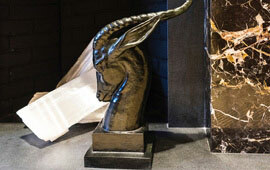 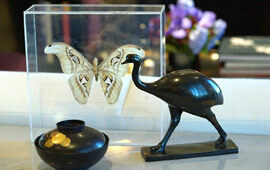 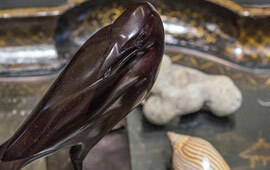 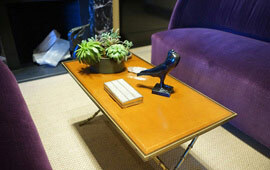 Whimsical small bronze animal sculptures from the Galerie DuMonteil in Paris accent the floor and tables. 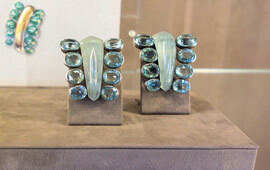 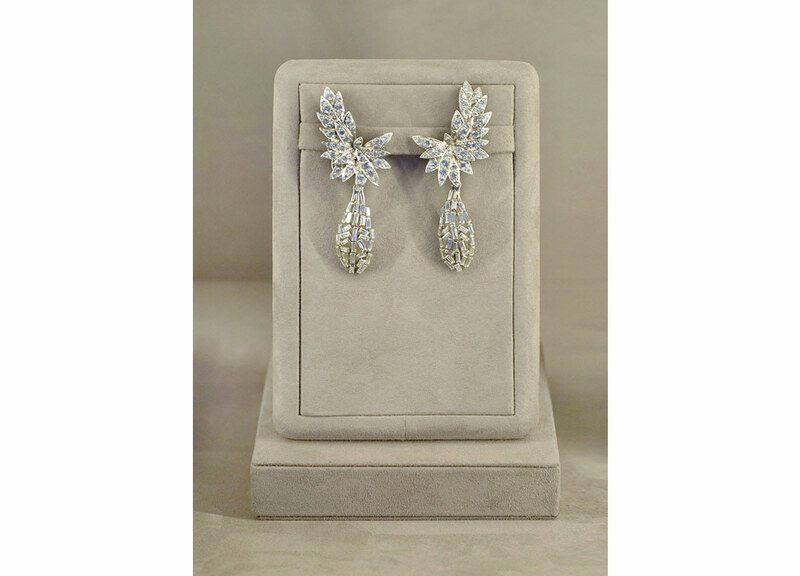 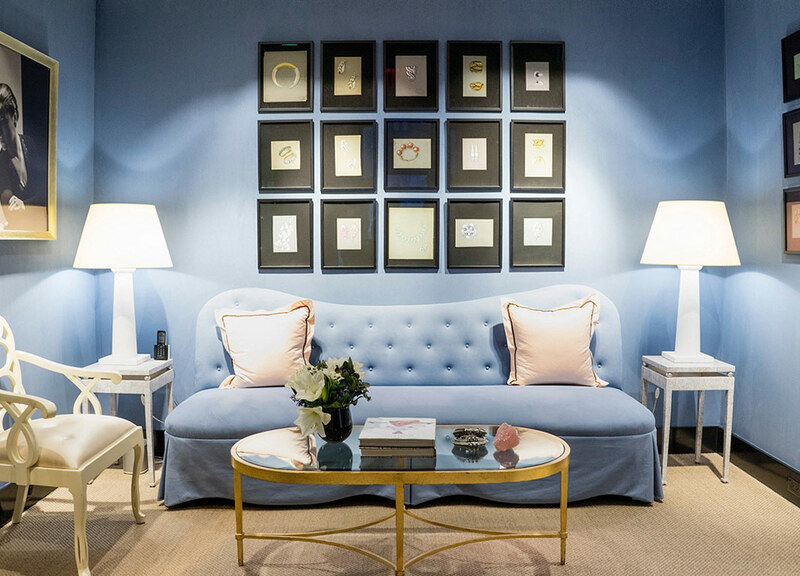 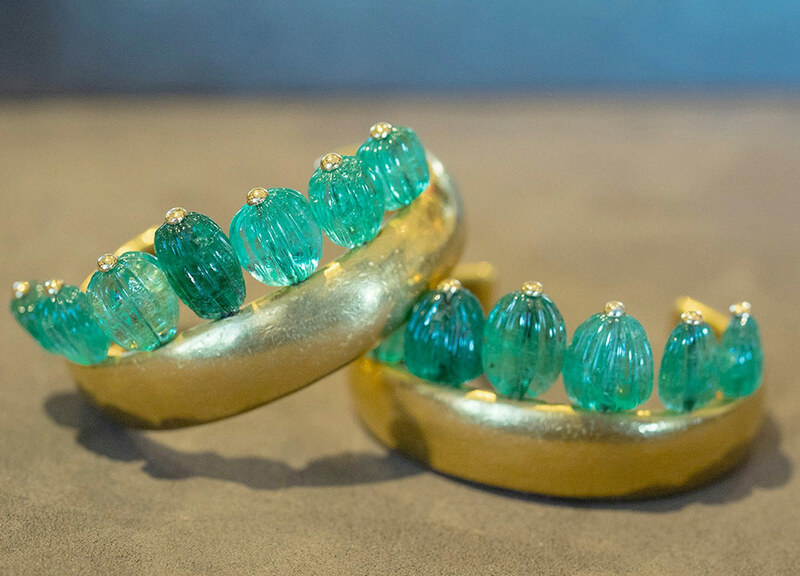 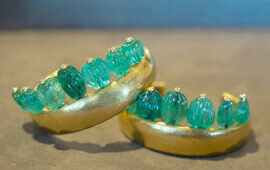 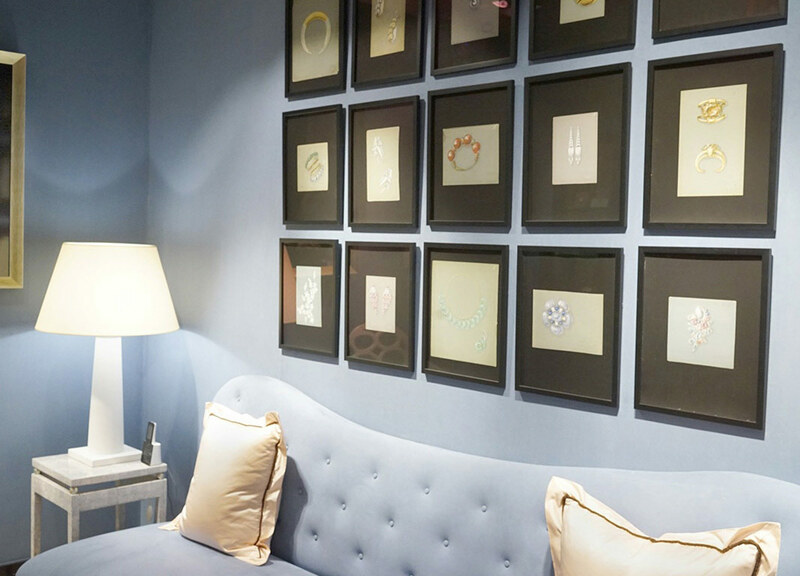 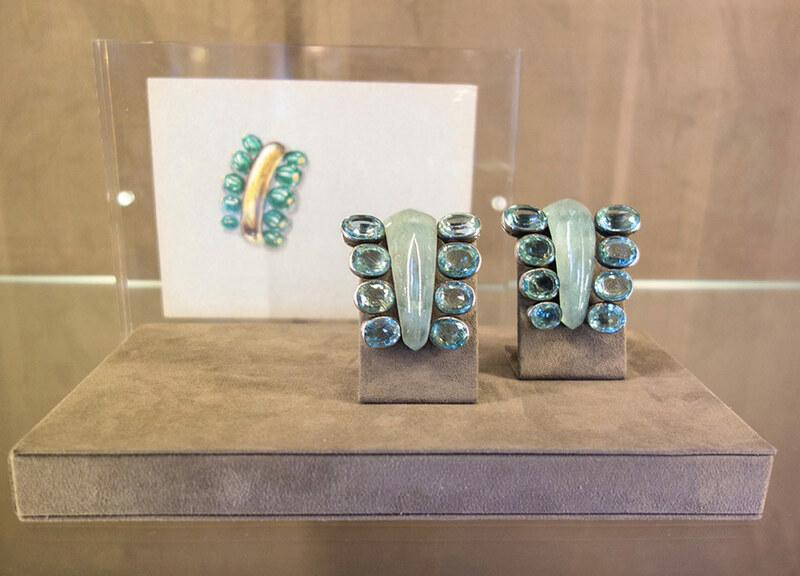 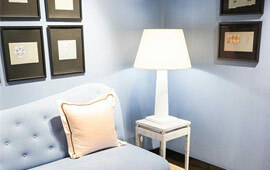 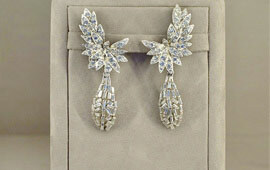 Charming references to the designer’s work and clients appear throughout the décor such as the color of the sitting room that brings to mind Belperron’s most well-known design, the Duchess of Windsor’s blue chalcedony bead necklace. 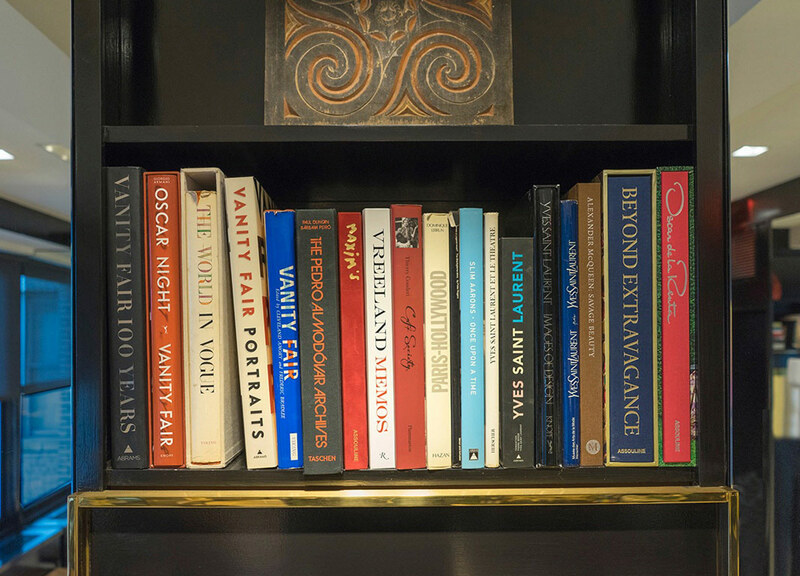 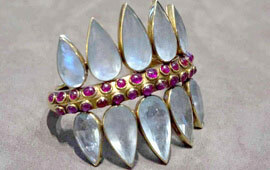 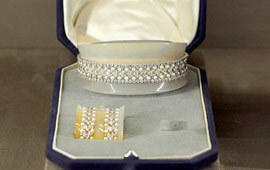 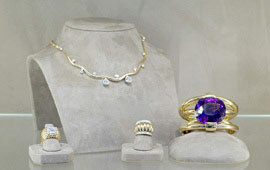 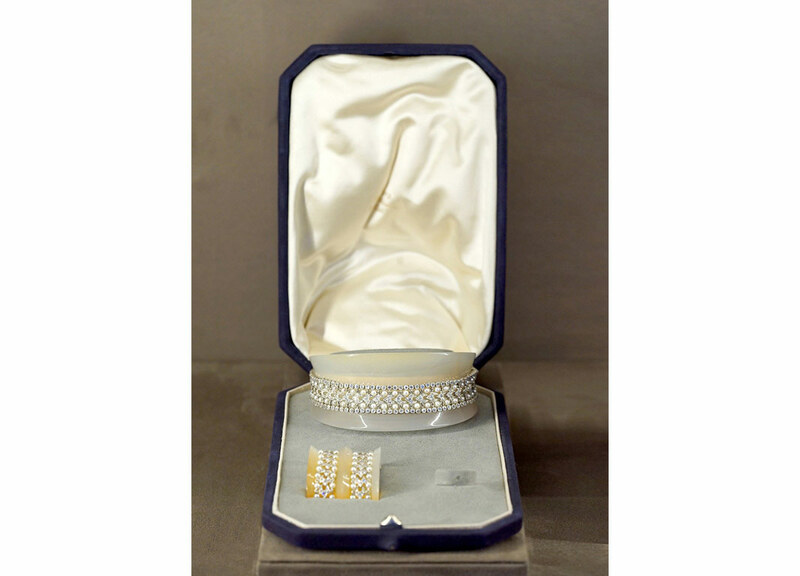 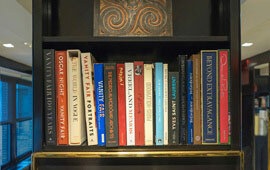 A number of the books in the library came from the estate of Lauren Bacall who was a client. 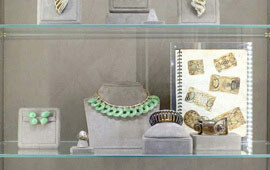 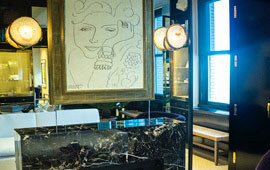 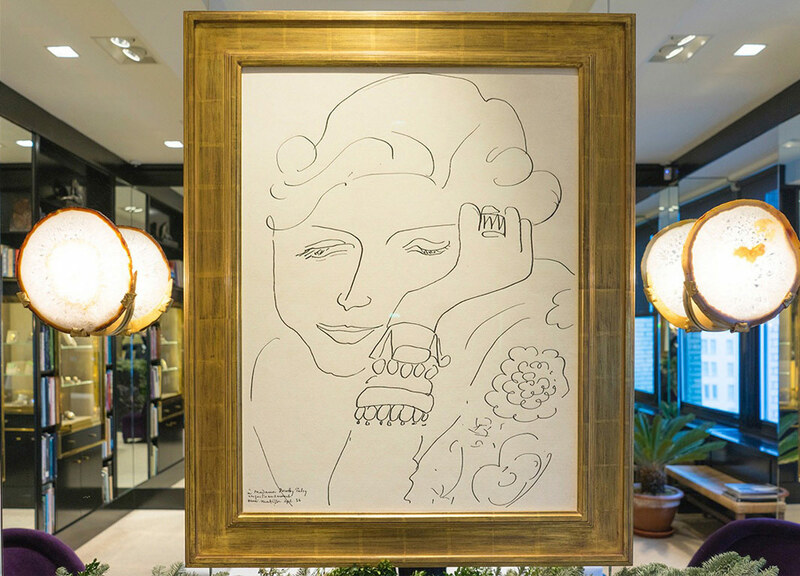 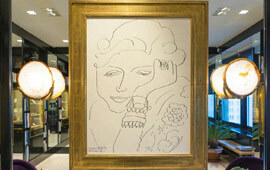 The pièce de résistance is the large Matisse print of Dorothy Paley wearing her emerald and gold Belperron cuffs hanging over the marble fireplace with crystal logs. 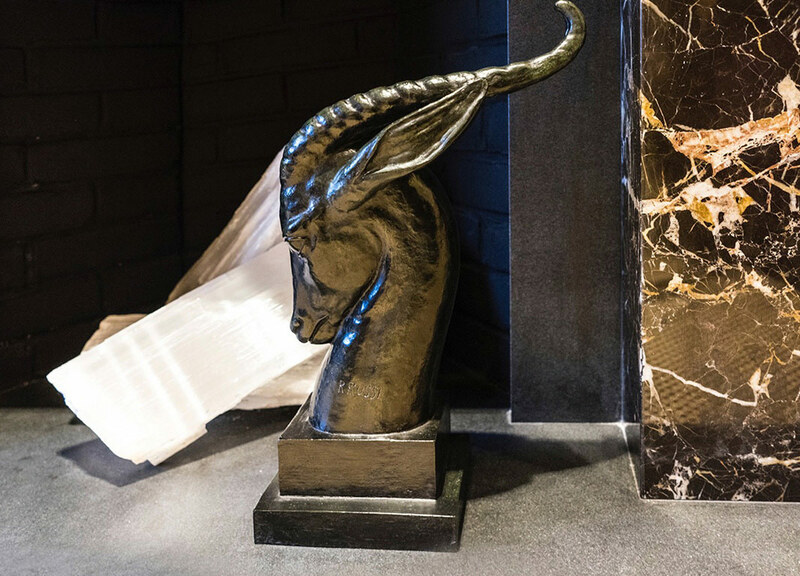 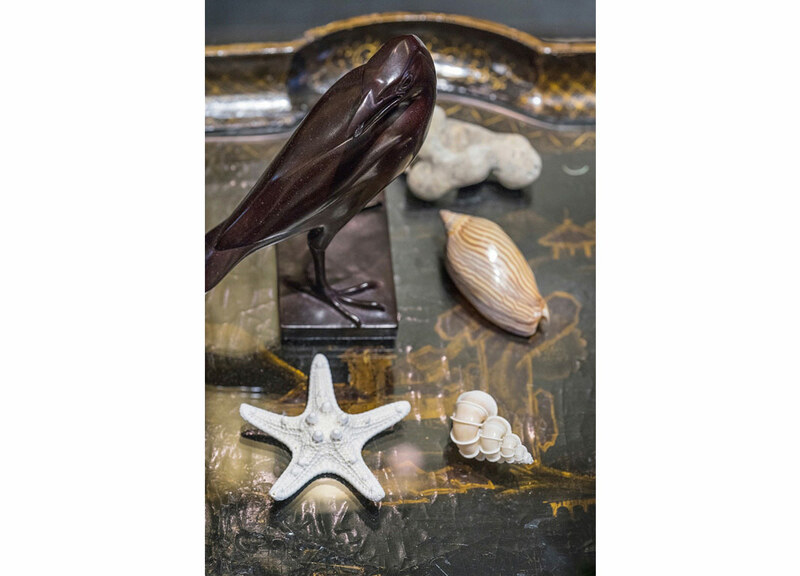 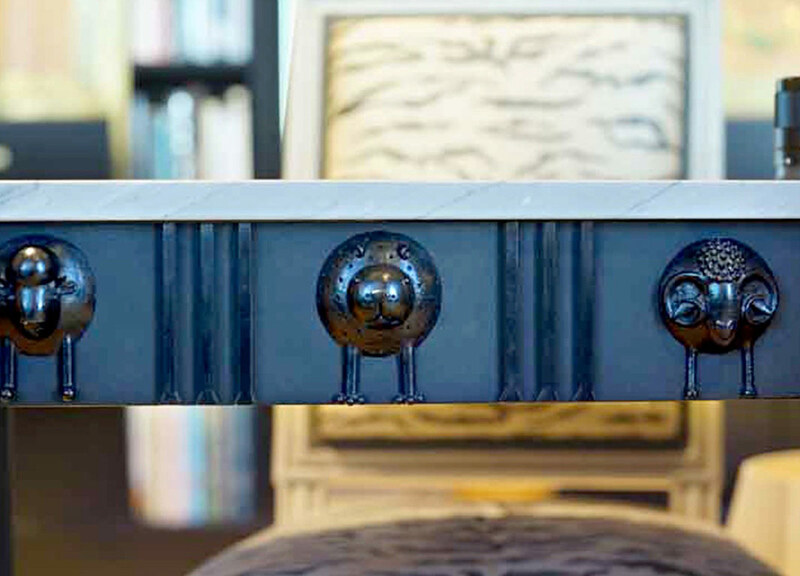 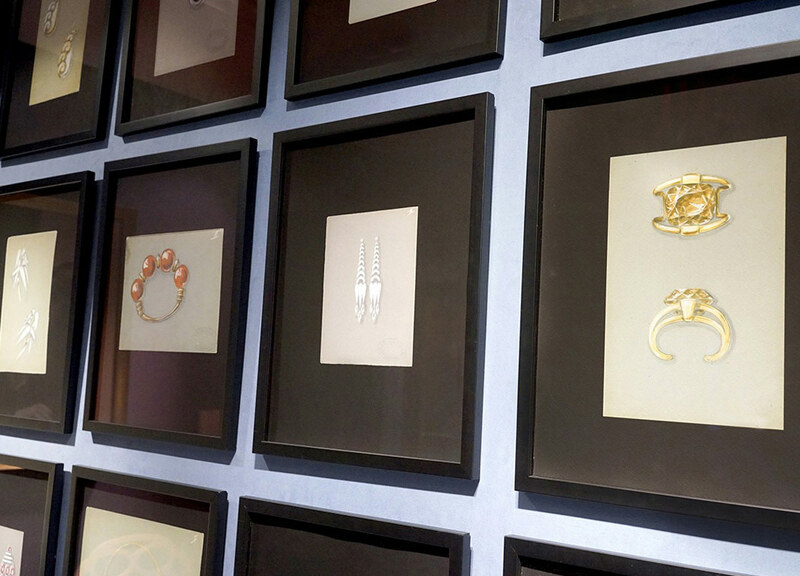 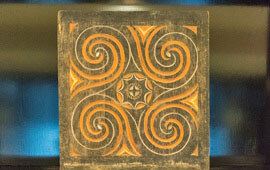 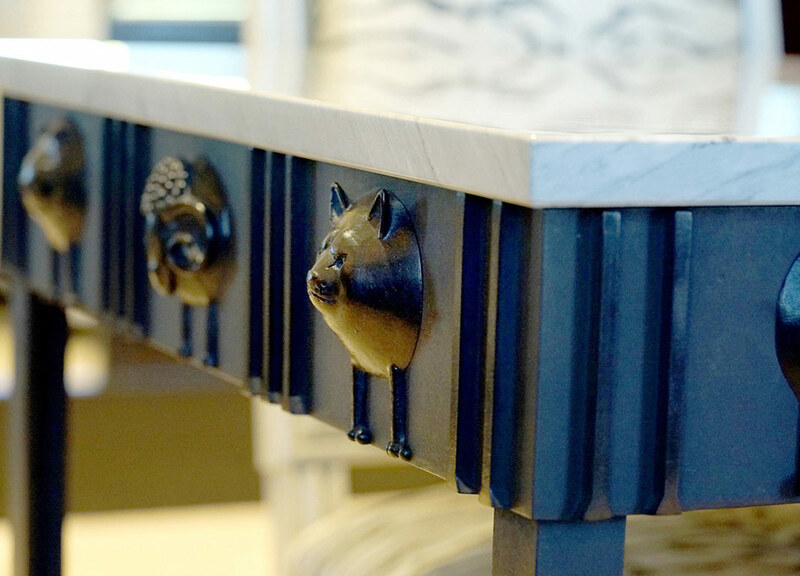 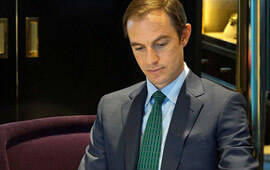 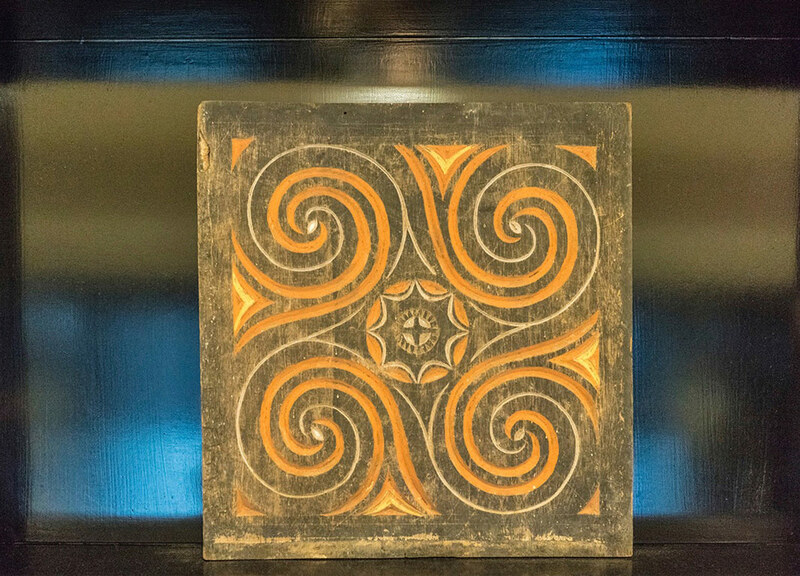 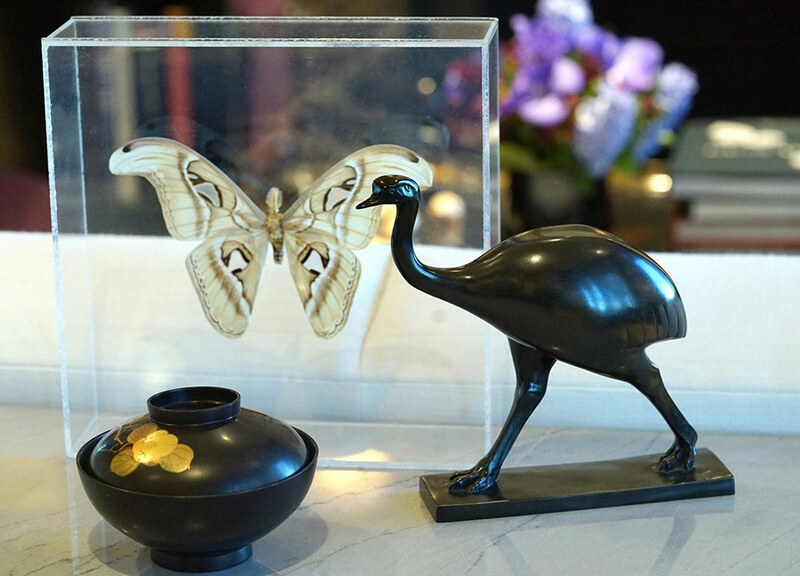 Personal touches: Belperron President Nico Landrigan added some beloved natural history objects to the décor and woodcuts he found on a trip to Bali that bear a striking resemblance to the Belperron logo.